Heading on over to the Grace Darling Hotel in Collingwood on a Friday night to see Sleepy Dreamers, I was beyond excited. I love live music, small venues and local bands. Sleepy Dreamers has emerged from the suburbs of Melbourne, professional and put together, seeming like a band much older than it is. Owing to a personal school-yard connection to the band, I’ve watched their star rise over the past few years, an emerging new talent on my very doorstep. I’ve long since thought that my childhood acquaintances are on their way to big things, so the chance for me to see them them live again was more than welcome. The venue was the ideal location for a gig such as this. Quirkily decorated (nautical wallpaper, anyone?) and full of little nooks with tables at perfect leaning height, it also features a cosy upstairs bar which was rigged up for the performance. The space is intimate and filled up quickly. The audience was made up largely of friends and acquaintances of the band, although it was pleasing to note that since the last Sleepy Dreamers gig I attended over 12 months ago, there were also many new faces. Sleepy Dreamers sound is hard to pin down. They describe it themselves as ‘wandering into a really deep, dark forest, with no intention and no real course of direction’. It is folksy and earthy, but features the omnipresent bass of Callan Johnston, and the strong percussion of Matt Salisbury that give the music a sense of movement. They sit comfortably in the space between folk and indie-rock. Their music is pensive and can be verging on melancholy. The band was professional in demeanour and friendly, but not overly talkative – their focus was clearly on getting the most out of their set. They certainly took full advantage of their time on stage, playing a selection of songs, including those from their recently released EP Creatures, as well as a couple of new songs that we were informed have only recently been completed. The band also enjoyed interacting a with the crowd – and bantering a little amongst themselves. Winter Make Way was easily the most popular track of the set, which is unsurprising as it is their first single off Creatures. The highlight for me though, was Long Way Down, a rambling song that starts off small and builds to a crescendo highlighting Shannon Carpenter’s guitar technique. Though the magical echo of the track captured on their EP would be impossible to replicate in a live show without some pretty fancy technology, the song is still haunting and strangely emotive when heard live. The house lights came up and the audience was left blinking heavily, seemingly roused out of a trance. It was though a spell had been broken, and just like that we found ourselves back on earth. Having read this I am sorry I missed them! 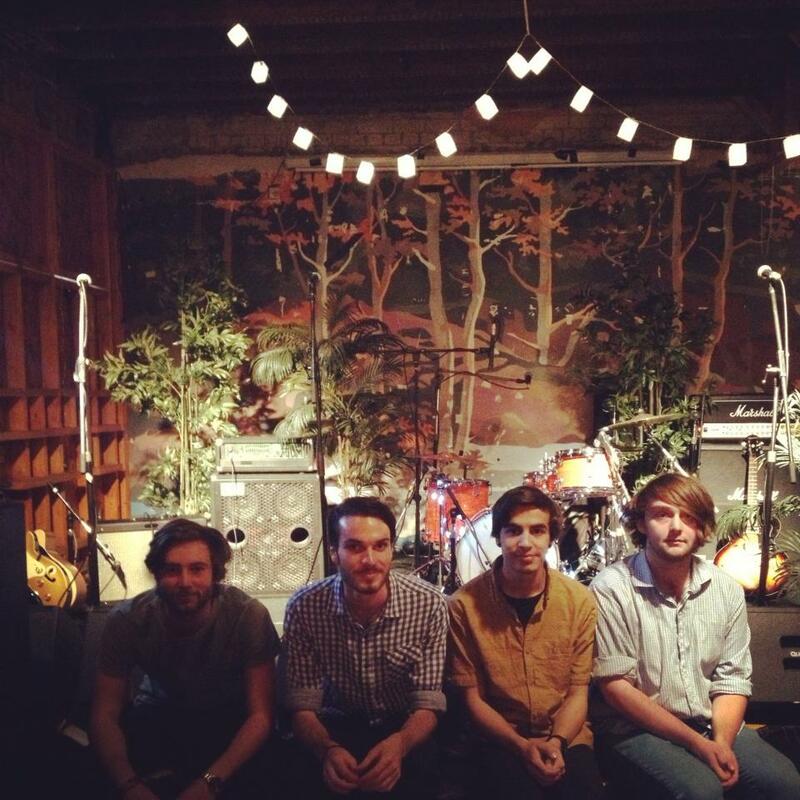 This entry was posted in Music and tagged gig, live music, melbourne, sleepy dreamers, the grace darling hotel. Bookmark the permalink.